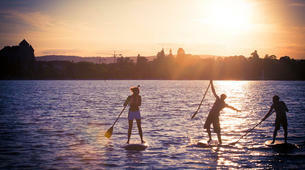 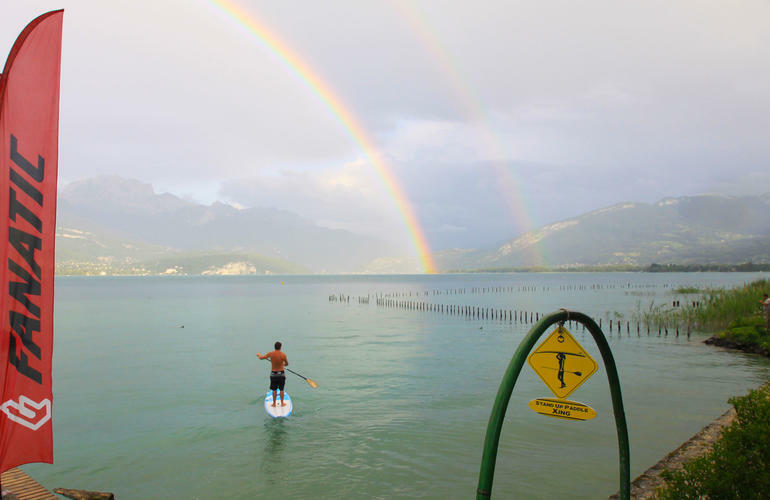 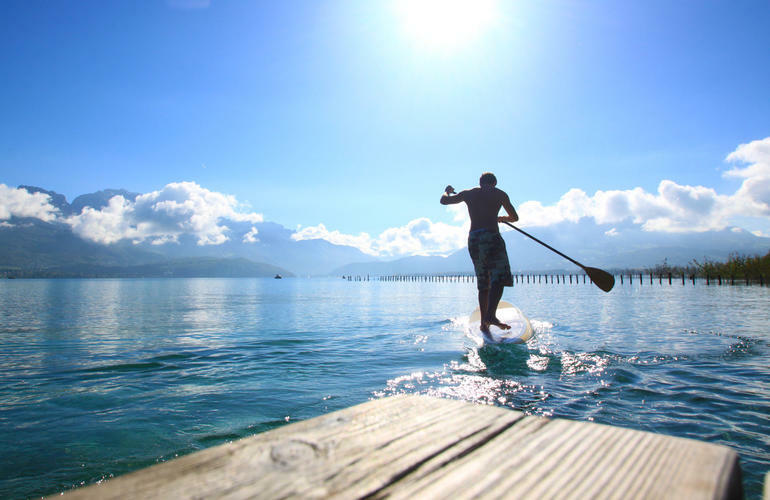 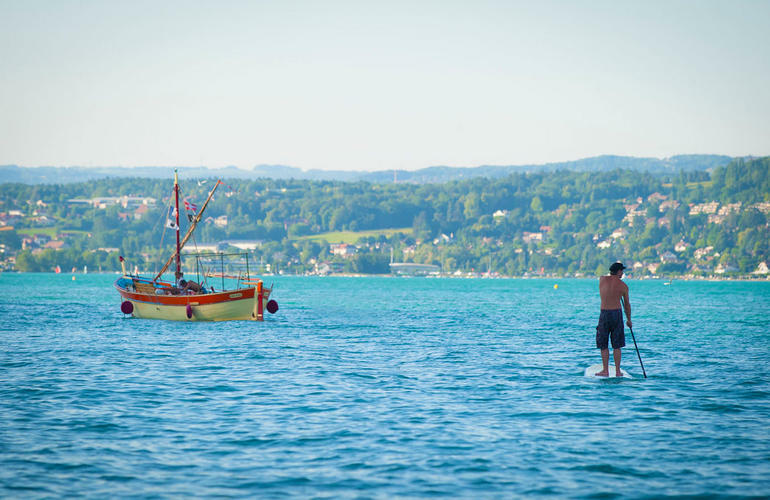 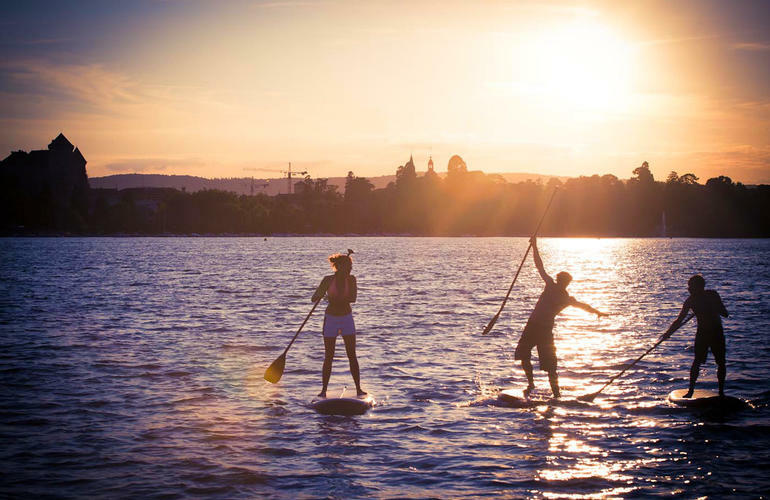 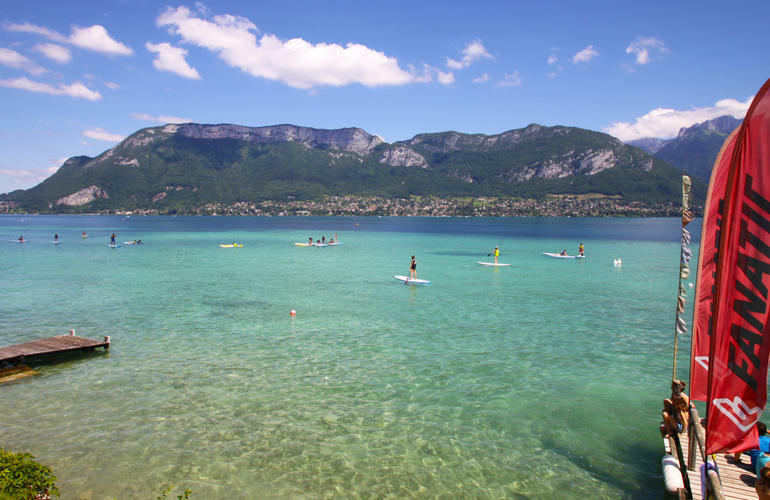 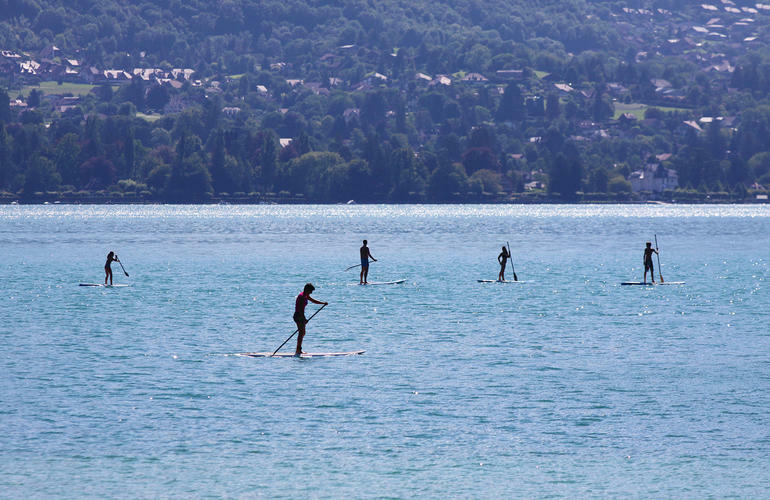 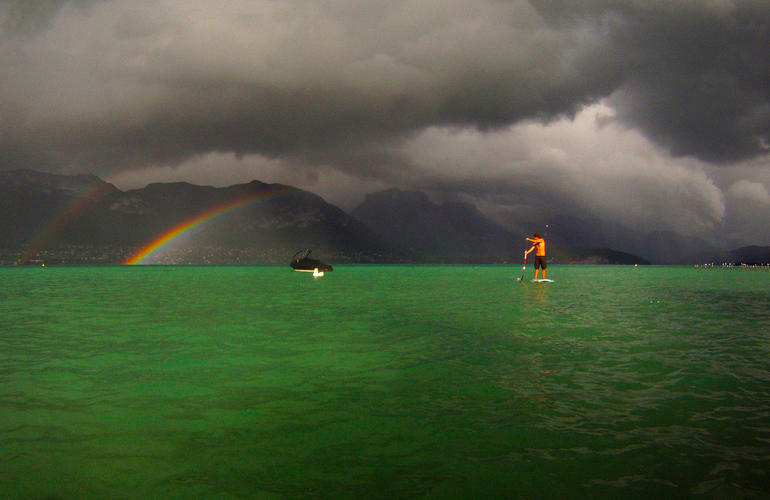 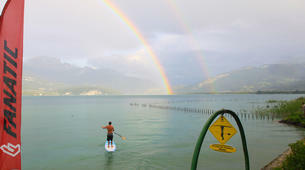 Rent a SUP board on Lake Annecy and explore the surroundings whilst relaxing and having fun! 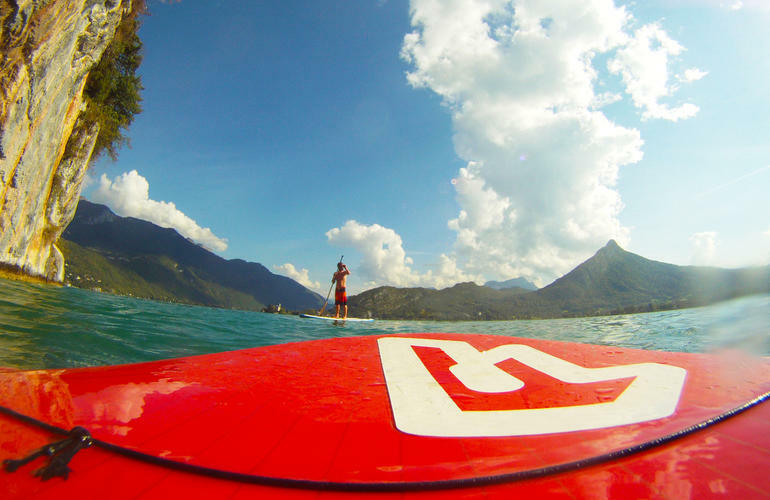 From Sévrier, about 4 km south of Annecy, the rental company Stand Up Annecy offers several boards of different sizes to meet everyone's needs. 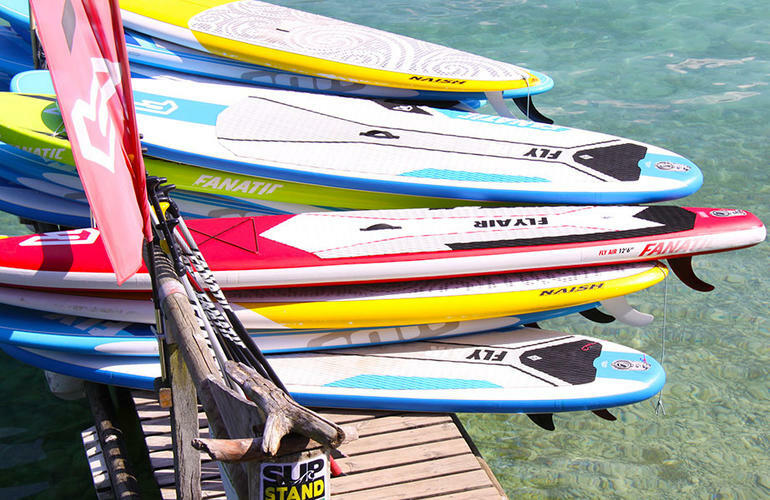 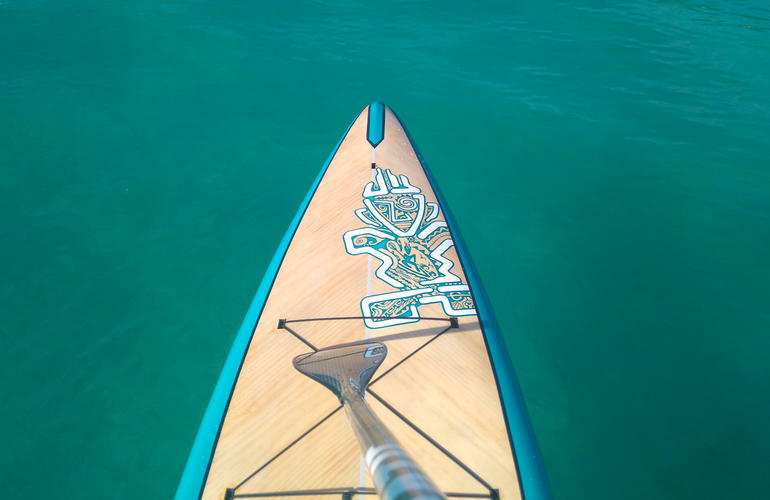 - The Allround board is suitable for all conditions, whether on the waves or in calm water. 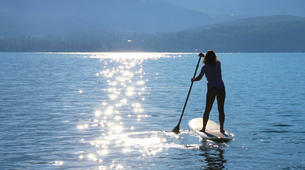 It is wide, comfortable and stable. 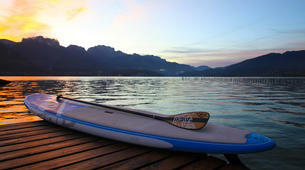 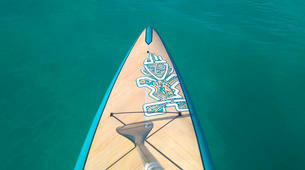 - The Touring board is ideal for hiking on calm water. 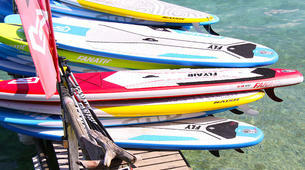 - The Racing board combines speed and performance. 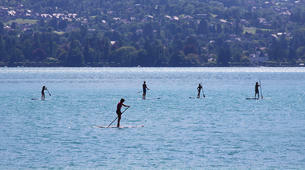 Longer and finer, it requires more effort to keep the balance but allows to speed up to 10km/h. 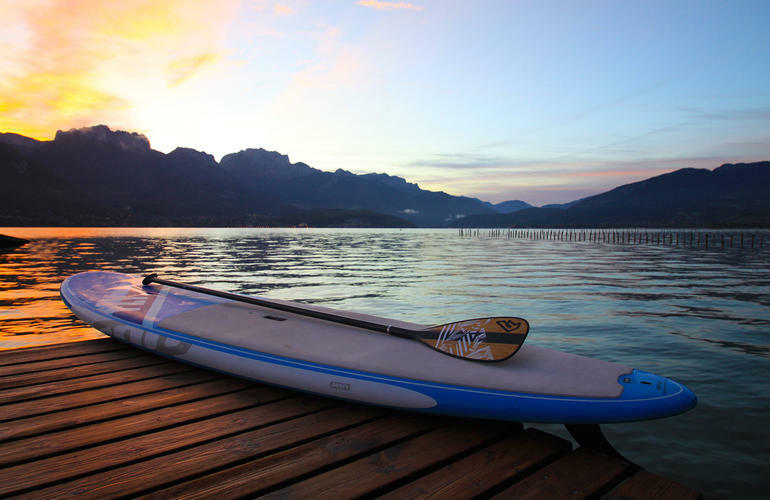 - The Fishing board offers great stability and allows you to go out fishing for pike (do not forget your fishing license!). 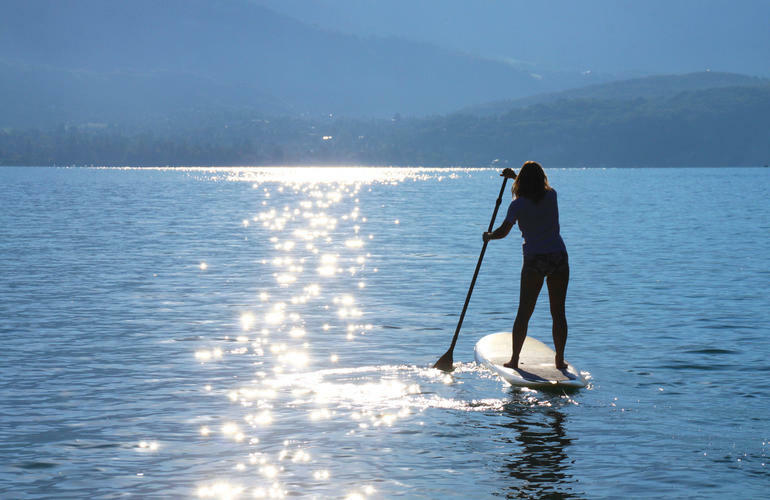 Rent the board that suits you and stroll for an hour or a day on Lake Annecy in the heart of the Alps! 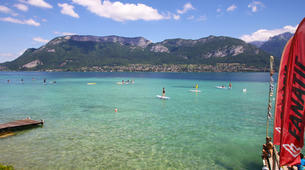 La session correspondait exactement à nos attente : tranquille, facile à prendre en main, un peu sportif et rafraîchissant, tout ça dans une cadre magnifique. 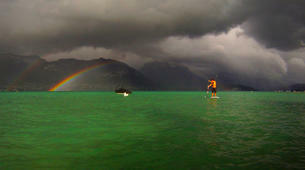 On prend vite le coup de main et on s’amuse beaucoup ! 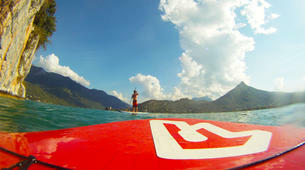 Le spot est juste top, la vue magnifique ! 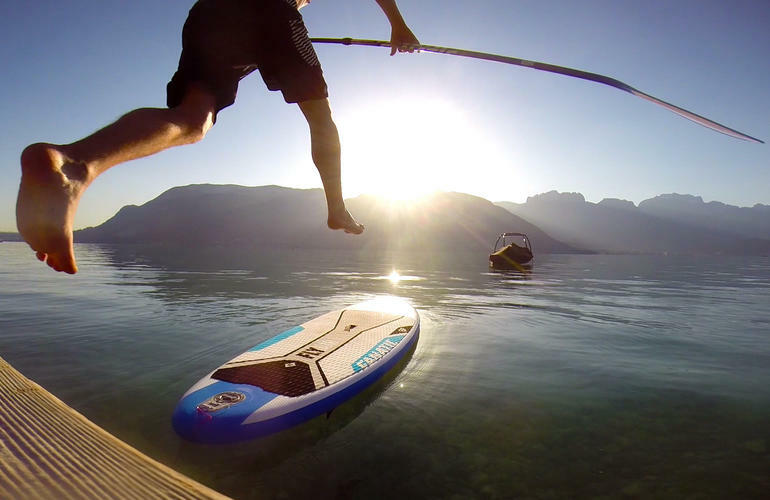 Très sympa le paddle et beaucoup plus ludique que prévu !